In the wake of yet another case this week of an air traffic controller asleep on the job, the Federal Aviation Administration (FAA) official in charge of operating the nation's air traffic control system has resigned. In a statement on the FAA's website, FAA Administrator Randy Babbitt says he met today with the official, Hank Krakowski, head of the FAA's Air Traffic Organization, and accepted his resignation. "Over the last few weeks we have seen examples of unprofessional conduct on the part of a few individuals that have rightly caused the traveling public to question our ability to ensure their safety. This conduct must stop immediately," Babbitt says. "Starting today, I have asked David Grizzle, FAA's chief counsel, to assume the role of acting ATO chief operating officer while we conduct a nationwide search to permanently fill the position. We are conducting a top to bottom review of the way we operate our air traffic control system," Babbitt adds. "We are all responsible and accountable for safety–from senior FAA leadership to the controller in the tower." Yesterday, an air traffic controller in Reno, Nevada, was suspended for being asleep when a medical flight was trying to land. 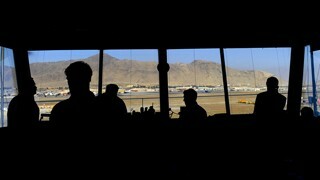 It was the fourth such time an air traffic controller was accused of sleeping on the job this month at a U.S. airport.